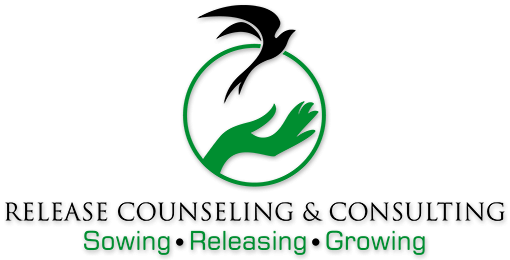 Welcome to Release Counseling & Consulting, we're here to help! Are you ​experiencing life transitions that seem to be out of control? Are you tired of maintaining a façade? "Success comes from knowing that you did your best to become the best that you are capable of being." Did you answer 'YES' to any of the previous questions? Asking for help is difficult but it is a courageous and important first step toward realizing the healing, growth and wholeness for which you're longing. You deserve encouragement while working toward accomplishing your personal goals, support in navigating through disappointments, deeper personal relationships, and achieving meaning and purpose in your life. We would like to help you. Investing in counseling can yield long-term rewards to influence healing, intimacy and wholeness. Acquiring necessary tools for healthy growth can be invaluable to achieving an authenticity of self. We will endeavor to enhance your life through increased self-awareness, personal growth and self-acceptance utilizing the modality most beneficial for you. Loneliness is often a word that is overlooked. In my experience, people will self-diagnose themselves as being depressed when what they are is lonely. Depression is a clinical mental health mood disorder that should not be taken likely yet the word is used very flippantly and many do not realize what they are actually saying when they say they have it. Loneliness is different. What does loneliness feel like? Some would say even in a room full of people they feel totally alone. Others might say they don’t have anyone in which they can trust their deep feelings. Yet others might say it feels like no one really cares. With the onslaught of social media connections, you might wonder why anyone would feel lonely. Social media is exactly that “social”. There is very limited “personal” in “social media”. Participants share what they want to share and can garner hundreds if not thousands of friends/followers. Although they may have hundreds of friends and/or followers, none of those people may be someone they feel can be trusted. Perhaps you can relate to this. Loneliness can also occur within families and relationships. Let’s first talk about relationships. We are busy people. So busy that we do not find time to really connect beyond a superficial level. Have you been at home with your partner and spent practically the whole day and not said more than 100 words to each other? Sometimes couples/friends hang out or share space and time and never truly connect with each other. Conversations are minimal. One or the other seems to be preoccupied with his/her technology. Still others may be unavailable for and to you but very available for others. This might also include spending limited time with you and not effectively communicating with you about events in your everyday lives. Yet if asked, they would say your relationship is ‘great’. Families may be used to seeing you as “the strong one”. This seems to be where they have parked you and any demonstration of emotion or less than what they deem “strong” prompts a comment something like this “Don’t worry you are always the strong one”. As a result, we feel like they are not interested or won’t understand or being emotional is equivalent to weakness and we shut down which compounds the loneliness. There may be others in your life in which everything is always about them. They don’t call to check on you – unless they want to talk about themselves. They may ask how you are doing and listen to you for a couple of minutes but then the conversation seems to always switch to them. Sound like anyone you know? Having other emotions and feeling lonely does not make you weak. It makes you human! You have the right to be heard. Contact us at Release Counseling and Consulting, we are eager to “hear from you”. If I were to give you 31,536,000 of something valuable, would you be excited? Would you think you would have plenty? Would you think you could casually discard some of it because there was more where that came from? Would you openly share it thinking there was more than enough to cover you? Now, what if I told you I would give you 1 of something valuable…would your perspective of how much you had be drastically altered? Would you want to cherish the 1 thing and not take it for granted? Would you want to share it? Thirty one million, five hundred thirty six thousand seconds are in 1 year (approximately). When looking at the former, it seems like more than enough but when we alter the interpretation of the time to 1 it drastically changes. Would you agree? All of a sudden 1 year does not seem like quite so much after all. If sold on the stock market, time would hardly be considered a blue chip stock – one known to be stable with a history of consistent returns. So often we take time for granted. We act as if our allotment has been shorted an hour or two or three. It can seem like we never have enough time to accomplish what we set out to do. Interestingly enough, time is one thing that is equally distributed to everyone across all age groups, sexes, abilities and socioeconomic statuses. Every day we all receive the exact same amount of time. It is what we choose to do with it that separates those deemed “successful” from those who are not. We blame ‘time’ for our disappointments and shortcomings. We say “I did not have enough time”, “I ran out of time” or “Time got away from me” as if it were a puppy that ran away. Sadly, we cannot hand out posters asking for recovery and return of “time”. The truth is that everyone manages their time in accordance with what is important to him/her. What is done with your daily dose of time is up to you. Will you let someone ‘steal’ it from you? One way to control your daily dose is by making sure you don’t waste it or spend it on the wrong thing or dare I say the wrong person. Are you focusing on the past or things that you have no control over? Are you expending energy on things that are not going to yield a positive return in your life nor get you closer to your dreams? Are you casually existing on the sidelines making excuses for nonchalant or unmotivated behavior by watching others live their lives? Consider how much time is wasted watching others do things we would like to do ourselves. What is stopping you? Is it that you feel you don’t have time….contrarily, you have plenty of time. It probably took you about 2.5 seconds to say or think “I don’t have time”. This leaves you over 31 million seconds left. What are you going to do with them? In dating, although we’re taught the abstract concept that love conquers all, we’re also encouraged to find a partner who has assets — physical, fiscal, and material. But if we spend too much time looking for someone who's perfect on paper, we’re setting ourselves up for failure. Of course, if we let our hearts get the best of us through the dating process, we set ourselves up for failure too. So how do we find an appropriate balance between rationality and emotionality? By using emotional intelligence. Emotional intelligence is essentially the ability to notice, identify, and regulate emotions. An emotionally intelligent person can recognize what they’re feeling emotionally and sit with those feelings long enough to respond to them mindfully — as opposed to suppressing them or reacting to them impulsively. Emotionally intelligent people are also empathically attuned, meaning they can put themselves in others’ shoes and imagine what another might be feeling. 1. Emotional intelligence leads to healthy attractions. When we’re guided by our heart and don’t distinguish between anxiety, lust, infatuation, and desire, our physical attractions can lead us to unhealthy relationships. When we’re guided solely by our head and turn off our heart, we risk dating people who are great on paper but unable to connect with us emotionally. But when we have emotional intelligence that allows us to follow our hearts but vet with our minds, we’re far more likely to seek out (and maintain) fulfilling relationships. 2. Emotional intelligence is important for reacting intentionally. That text you wish you didn’t send? That fight that quickly escalated? That fear of being abandoned that stems from your upbringing or past relationships? Emotions drive the most connecting and destructive encounters in a relationship. Knowing how to sit with these emotions and react to them appropriately is your most valuable skill in a budding relationship (and in life!). One way to do this is through practicing refraining and self-compassion. Like you’re trying not to scratch an itch, resist the urge to react impulsively. Easier said than done, I know. A trick I use is to envision actually making space for emotion as it comes — I imagine that it is expanding in a contained bubble outside of me. Then, I practice self-compassion by empathizing with myself and saying internally what I might say to a friend in the same situation. For example, It makes sense you’re feeling pissed off right now! You’re totally allowed to feel this way. Anyone else in your shoes would. Still, what’s a more serving reaction, here? Keying his car or going to a friends’, sleeping on it, and re-evaluating in the morning? 3. Emotional intelligence will help you deal with rejection. In order to date successfully, you have to be open to rejection. If you fear rejection to the point of avoiding it, you won’t put yourself out there. You'll impulsively delete all your apps after a first date doesn't call you back. In order to be open to rejection, you must be able to cope with your emotions mindfully and with self-compassion. My latest course will walk you through how to do so. 4. Emotional intelligence will make you a more supportive partner. Whether you've been in a relationship with someone for a few dates or a few years, emotional intelligence is essential to being a supportive partner. Why, you ask? You need to have the ability to empathize. You should essentially be able to stand in your partner’s shoes and understand what they’re feeling. So, instead of responding to an argument with something like, “You shouldn’t be upset about this,” try saying something like, “I can understand why you’d be feeling hurt.” This will make your partner feel heard and validated, which in turn will strengthen the communication you two share. If you don’t identify as emotionally intelligent, fear not: Strengthening the emotional intelligence muscles isn’t much different from strengthening the biceps. Only, rather than doing so at a gym, you can do so using therapy, meditation, yoga, and mindfulness. So get looking inside and trust that familiarizing yourself with your feelings will make you a much better dater and partner! If you’re single and you want a partner, you’ve probably spent a lot of time thinking about what you want — mentally, emotionally, spiritually. Are they different? Getting clear on what you want is vital in manifesting your beloved. Since we attract people who have equal levels of self-abandonment or self-love to our own, it's essential that we embody the qualities we want in a partner. These seven areas are crucial to consider when it comes to identifying the best partner for you — and making sure you have them, too. Do you want a partner who is open to learning about themselves and about you as well as open to learning in conflict and when their fears are triggered? I have found this to be an absolutely essential ingredient in creating a loving relationship. Do you want a partner who is interested in personal and spiritual growth, who shares his or her feelings and is available to receiving help with relationship problems? All relationships experience some problems, and being open to receiving help can often make the difference between staying together or ending the relationship. Do you want a partner who is kind, caring, compassionate, capable of empathy, honest, reliable, and trustworthy, and who has integrity? Do you want a partner who is basically happy with his or her life? Do you want a partner with a good sense of humor, who laughs easily and is fun to be with? Do you want a partner who is close to family members and who has close friends? Do you want a partner who is motivated, self-disciplined, competent, and a hard worker? Do you want to be with someone who has a passion for life? While looks don't form the basis of a loving relationship, we need to basically enjoy the way the person looks. 9. Do you care how tall the person is? 10. What’s important to you in terms of weight and/or fitness level? 11. Do you prefer someone well-groomed or a more rugged look? We each have the right to decide what we want, so it's important to get clear on it and pursue it with confidence. 12. Is connecting at a common level of intelligence and academic learning important to you? 13. Is it okay for someone to be a high school graduate, a graduate of a tech school, or be self-educated? 14. Is it essential to you that your partner have a college or graduate degree? 15. Do you want a partner who wants kids? 16. Do you want to live in a spacious house or a compact apartment or condo? 17. Would you prefer to live in a rural area or a highly populated city? 18. Can you live with someone messy? How about someone neat? I can't tell you how many couples I've worked with find this a huge problem. 19. Do you want to be with someone who can (and likes to) cook? 20. Is it important that your partner have mechanical know-how and the ability to fix things? 21. Do you need a partner who can take care of a home and all that that might entail — like shopping for food and clothing? 22. Is it important that your partner be health-oriented? 23. What about eating organically, being a vegetarian, vegan, following a raw diet, or Paleo? 24. Do you want a partner who works out or who is athletic and enjoys outdoor sports? 25. Do you want your partner to earn as much as you do or more or less than you do? Is financial success important to you? 26. Do you want a partner who is passionate about their work? 27. Is it important that you see value in your partner’s work? 28. Are you pro-choice or pro-life? Is a disagreement on that a deal breaker? What about birth control, guns, and hunting? 29. Are politics important to you? Does your partner need to identify as liberal, conservative, independent, or apolitical? 30. Do you want to be in a traditional, monogamous relationship, an ethically nonmonogamous relationship, or an open relationship? 31. Does your partner need to share your religion? If so, do you also need to share the same level of devotion? 32. If not religious, does your partner need to be spiritual? If so, what kind of spirituality? Is it okay if they are agnostic or atheist? 33. Do they need to love animals? Do they need to be a dog person, a cat person and/or a horse person? 34. Is it important to you that they care about the environment? 35. Do you want a partner who donates to charities? Do you prefer to save or spend? 36. Do you want a partner who is a professional, a businessperson, or someone in a creative field? Would you prefer a partner who made a living doing manual labor? Would you consider living on a farm or ranch? We each have the right to decide what is okay or not okay for us. 37. Is it okay or not okay with you for someone to smoke? 38. Is it okay to drink moderately or heavily, or it is important to you that your partner not drink at all? 39. Is marijuana use acceptable or not? 40. What about the use of recreational drugs or prescription drugs? This is certainly not a conclusive list, and, since we all have some baggage, you won't necessarily find everything you want in one person. It's important, however, to explore your feelings, desires, and priorities. I suggest you make your own lists of what you want and don't want in a relationship. Clarity is essential for manifestation! Saw it, Liked it, Told Grandma, Got It! I saw that saying on a sign in an office yesterday. I thought of a time my son was observing me play with my granddaughter. He asked "Would you go and bring back my real mom?" It was funny then and now. He was referring to the way that parents often transform when they become grandparents. The "transformation" is hard to understand until it happens to you. In considering my role, I thought of the type of grandmother (Nani) I want them enjoy and remember for years to come. I knew a few things like I would not be the apron wearing baking type of grandma or what some know as "Big Momma". There is nothing wrong with either of those. However, I don't bake and am not that domesticated. I settled on being a Nani who helped them perfect good manners, to be kind to others, to be patient, to be honest and always be true to themselves. Of course, there was also the fine dining, clearance and shoe shopping....but that's another blog! I thought of growing up with my grandmothers and how different they were. Reflecting on them helped me to focus more on what being a good Nani means to me. I do not want to overstep my boundaries and interfere or contradict my son and daughter-in-love's parenting in any way. In fact, I want to support them unconditionally. After all, I am grateful to them for my little princess (Amani) and my misters (Levi & Lyrik). Likewise, I want to assist them in any way I can. Ultimately, I want my son and grandchildren to really know, understand, learn from and enjoy me. I want them to know I love them in ways they can't even imagine. I want them to learn how to be supportive of their family while still nurturing their own interests. I want them to learn how to love themselves as well as others. I want them to enjoy the life that has been bestowed to them. Yes, sometimes that does mean "saw it, liked it, told Nani, got it!". Saw it, Told Grandma, Got it!